Most know the Society of Jesus as the largest Catholic order in the world with a rich Jesuit educational tradition. Many people, however, don’t know about the order’s involvement in dance, which was especially prevalent in 17th-century Paris. Author and dancer Judith Rock, Ph.D., will bring the little-known world of Jesuit ballets to life in a free, public lecture at Loyola University New Orleans Thursday, Oct. 24. The “Learning from Muscle, Blood and Bone: The Eloquent Body and the Jesuit Ballets” multimedia lecture will take place at 5 p.m. in the Ignatius Chapel, located on the first floor of Bobet Hall on Loyola’s main campus. The event is sponsored by Loyola’s Jesuit community, the Biever Guest Lecture Series, the University Honors Program and the Department of Languages and Cultures. Rock will transport the audience back to the days of the Louis le Grand, a Jesuit-run school for boys where the Jesuits produced ballets as part of teaching rhetoric. Between 1638 and 1761, the school created and performed 102 ballets as well as tragedies, comedies and other theatre forms. Performing in the ballets gave the students strong, eloquent bodies and trained them to dance well at the court of Louis XIV—a paramount social requirement for nobles in those days. The dance technique wasn’t the kind of ballet recognized today that features tutus and pointe shoes. Known now as baroque dance, its demanding technique was much the same on the stage and in the ballroom. Rock is known for bringing this history to life for many audiences, having restaged the first North American production of a baroque Jesuit ballet in San Francisco in 1985. Rock will feature footage from that performance of “L’Esperance” during her presentation. Rock is also the author of novels set in the Jesuit school in Paris in the late 1680's. The Charles du Luc historical mysteries tell the story of how young Jesuit rhetoric teacher and ballet producer Charles du Luc helps Nicolas de La Reynie, first head of the Paris police, solve crimes involving the Jesuits and their school. 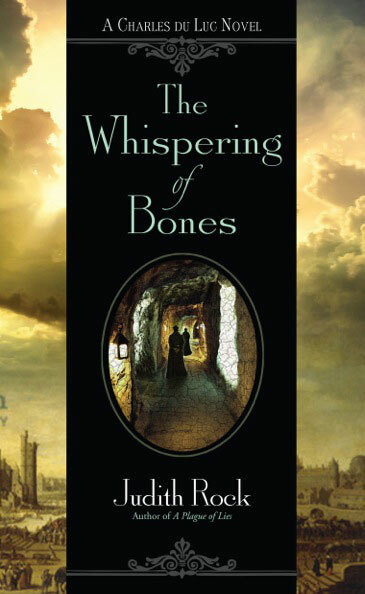 The latest and fourth book in the series, “The Whispering of Bones,” is due out Nov. 5. Rock’s books are available in the Loyola bookstore, and she will host a book signing immediately following the lecture.